Chelyuskin Semyon Ivanovich (c. 1700-1764), Russian navigator, captain of the 3rd rank. From an old noble family. He studied at the Mathematical and Navigational School and the St. Petersburg Maritime Academy. In 1726 in the fleet as a sub-navigator, in 1733 he was promoted to navigators and assigned to the Great Northern Expedition V.I. Bering, in which he stayed until 1742. First, he was in Pronchishchev's detachment, after whose death he took command of the «Yakutsk» ship, then in Detachment X. Laptev. Participated in the study of the coast of the Arctic Ocean from the mouth of the Lena to the Yenisei. In the spring of 1741 passed by land from the river. 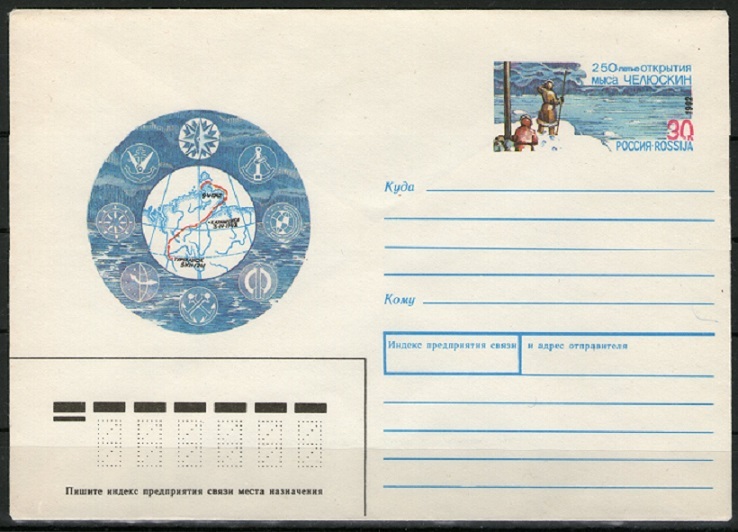 Khatangi to r. Pyasina compiled a description of the western coast of the Taimyr Peninsula to Cape «Sterlegov». 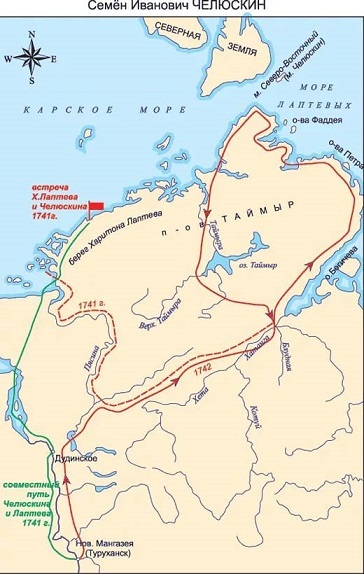 In the winter of 1741-1742, he traveled by dog sled from Turukhansk to the mouth of Khatanga, then compiled a description of the entire eastern coast of Taimyr to the northernmost point of the mainland, named after him (Cape «Chelyuskin»).